The Will to Win is a personal or group desire to come together and be successful, giving everything it takes to reach a goal. The Will to Prepare separates those who want to win from those who do win, spending time and giving exceptional attention to detail. The Will to Compete shows how a person strives, consciously or unconsciously, for an objective. Being a competitor is instinctive. The Will to Give grants or bestows by formal action or to accord or yield to another voluntarily and without expecting compensation. The Will to Love is a strong personal affection for another, whether kinship or an object of attachment, devotion or admiration. The Will to Succeed is the mentality necessary to attain a desired, favorable goal or achieve success upon completion of an effort. The Will to Lead is what it takes to direct the operations, activity or performance of an individual or a group in a common direction. The Will to Finish is the process of ending a course of action, task, undertaking or competition in a specified manner or position. 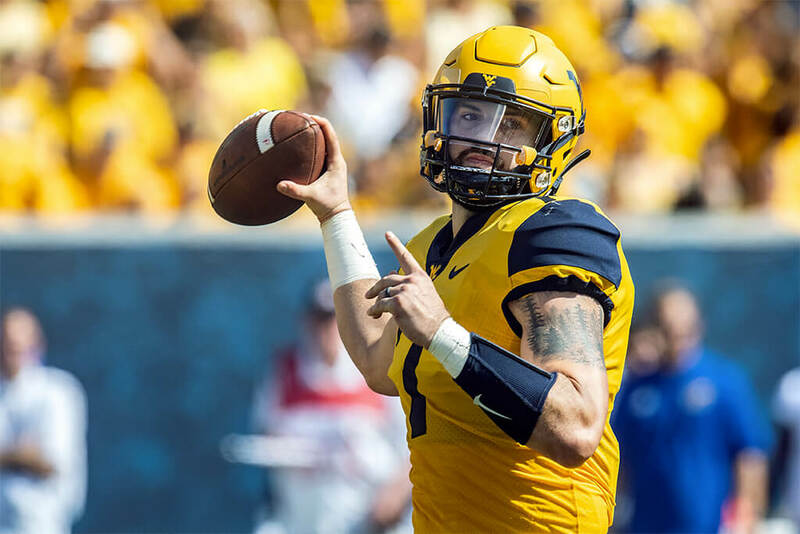 Will Grier threw for 539 yards on 32-of-49 passing with four touchdowns as the Mountaineers fell against Oklahoma, 59-56. 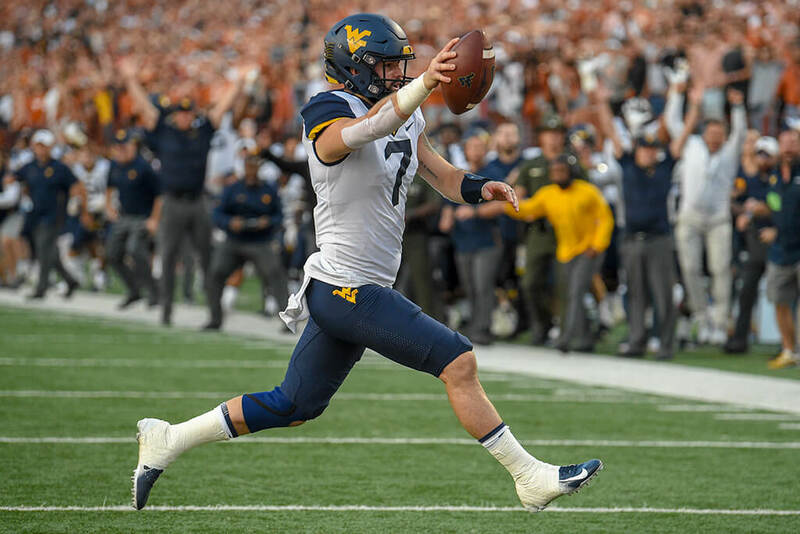 Will Grier threw for 364 yards on 27-of-48 passing with two touchdowns as the Mountaineers fell at Oklahoma State, 45-41. 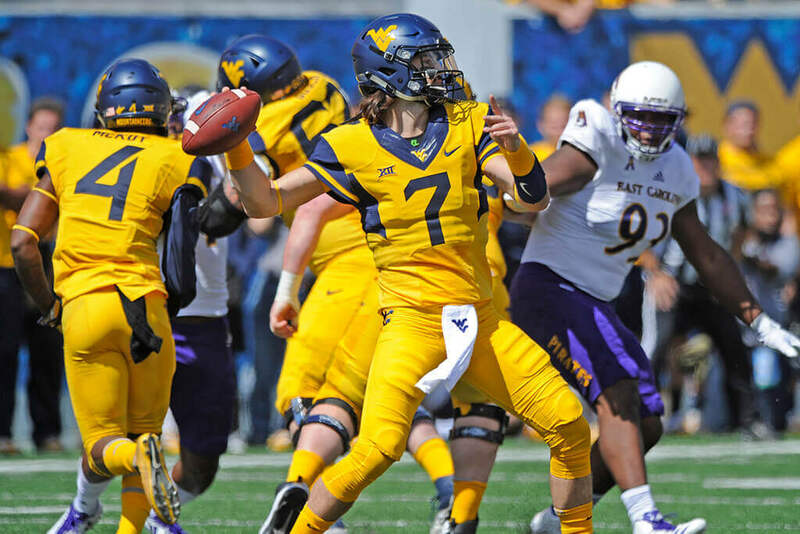 Will Grier threw for 343 yards on 25-of-39 passing with three touchdowns as the Mountaineers defeated TCU, 47-10. 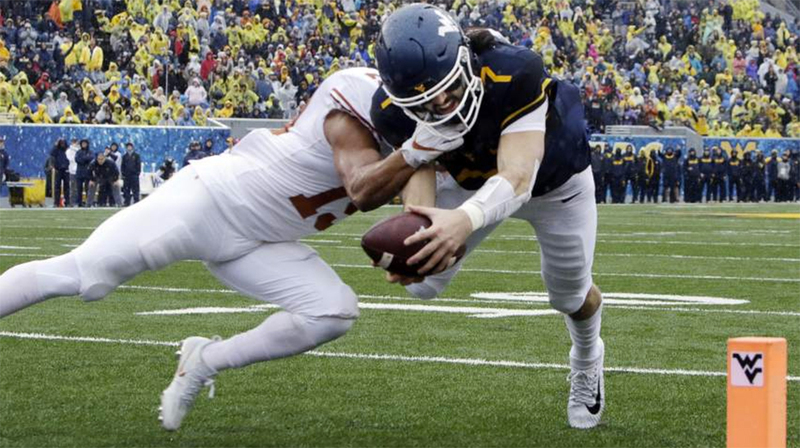 Will Grier breaks down the game-winning two-point conversion at Texas. 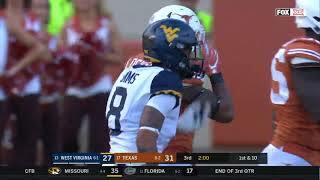 Will Grier breaks down the game-winning touchdown he threw at Texas to Gary Jennings Jr. late in the fourth quarter. 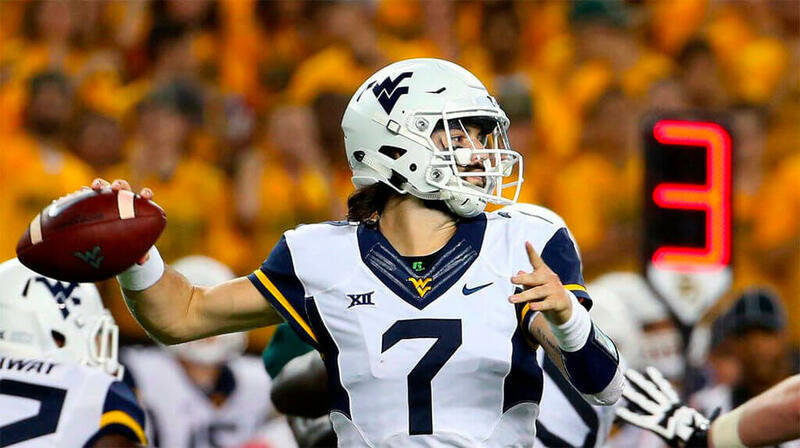 Will Grier threw for 346 yards on 28-of-42 passing with three touchdowns as the Mountaineers defeated Baylor, 42-41. 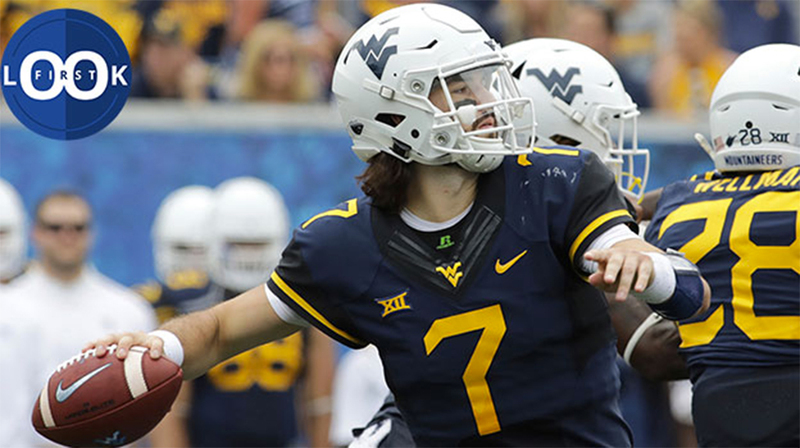 Will Grier threw for 353 yards on 17-of-27 passing with three touchdowns as the Mountaineers defeated Baylor, 58-14. 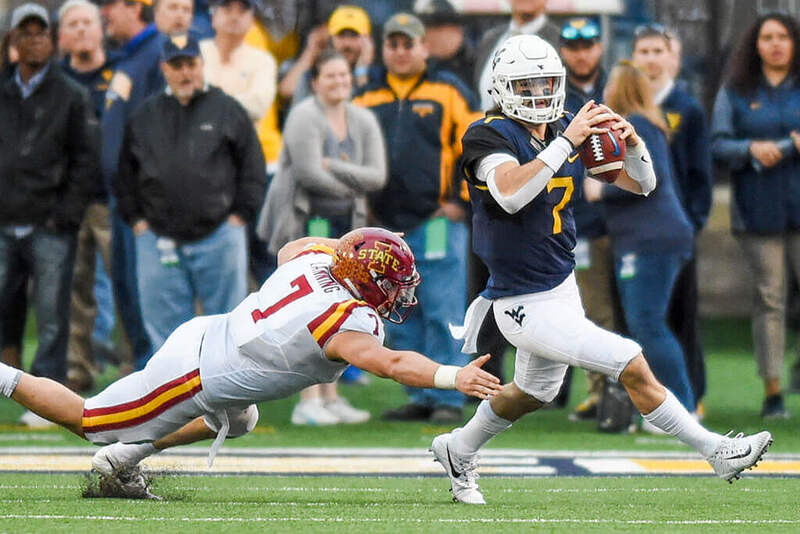 Will Grier threw for 100 yards on 11-of-15 passing with one touchdown as the Mountaineers fell at Iowa State, 30-14. 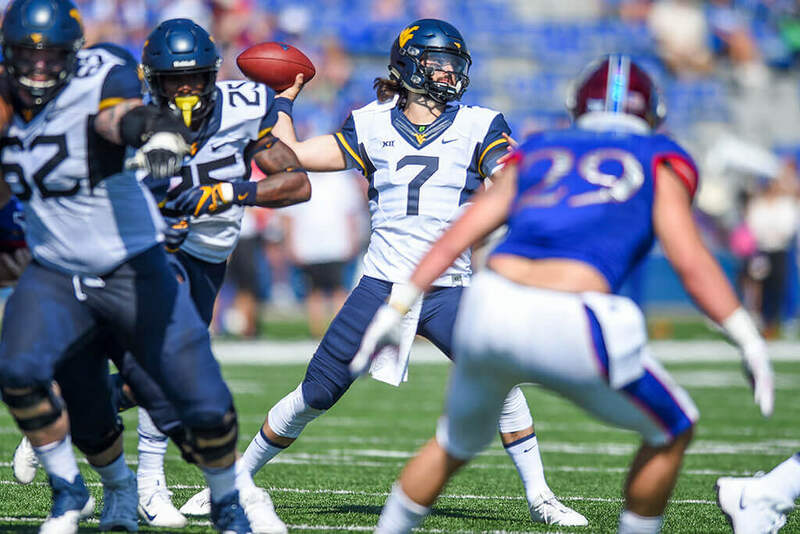 Will Grier threw for 332 yards on 28-of-41 passing with four touchdowns as the Mountaineers defeated Kansas, 38-22. 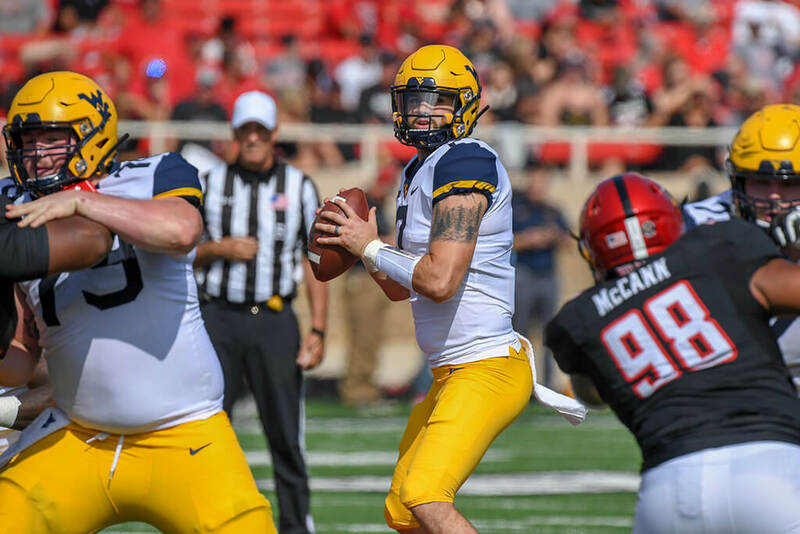 Will Grier threw for 370 yards on 27-of-41 passing with three touchdowns as the Mountaineers defeated Texas Tech, 42-34. 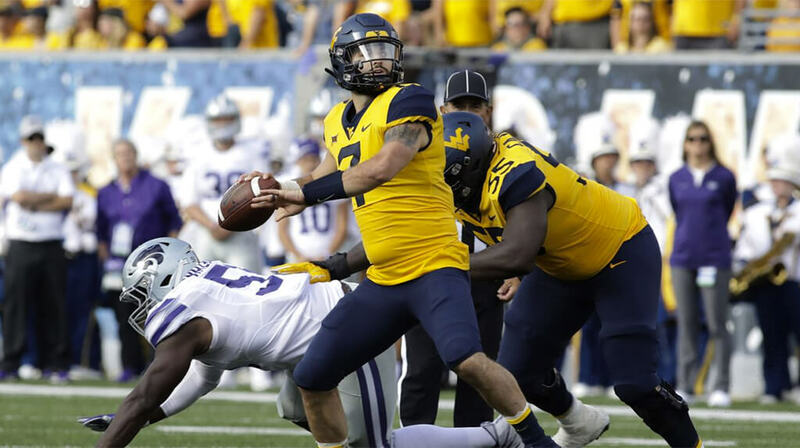 Will Grier threw for 356 yards on 25-of-35 passing with five touchdowns as the Mountaineers defeated Kansas State, 35-6. 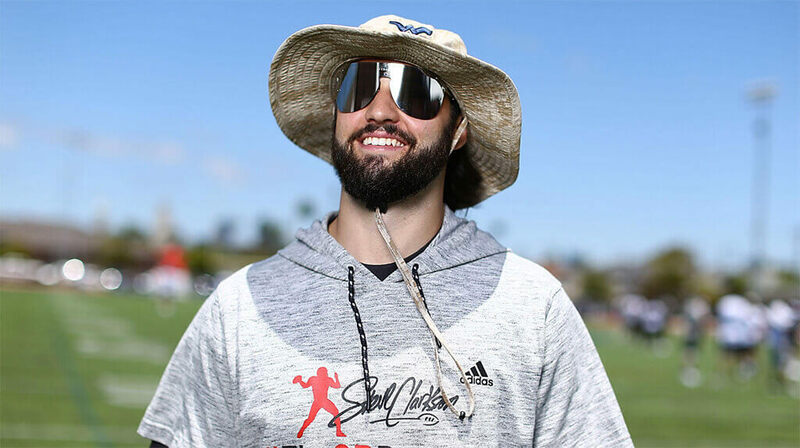 West Virginia QB Will Grier opens up about balancing his Heisman candidacy, globally recognized siblings and young family. 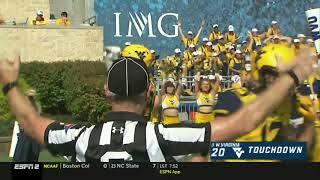 Will Grier threw for 332 yards on 21-of-26 passing with four touchdowns as the Mountaineers defeated Youngstown State, 52-19, during the 2018 home opener. 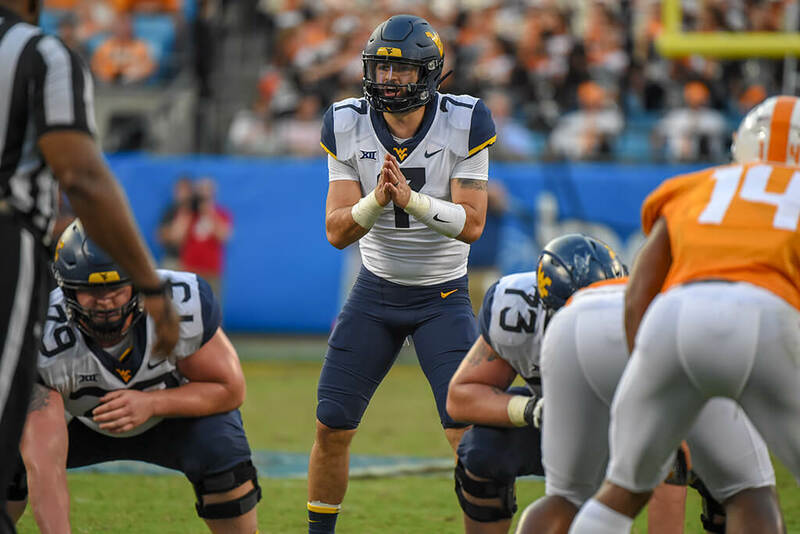 Will Grier threw for 429 yards and five touchdowns as West Virginia defeated Tennessee, 40-14, to open the 2018 season. 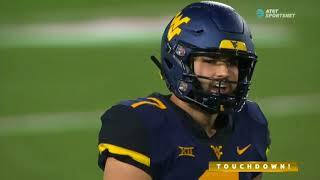 Will Grier was mic'd up during the 2018 Big 12 Football Media Day at The Star in Frisco, Texas. 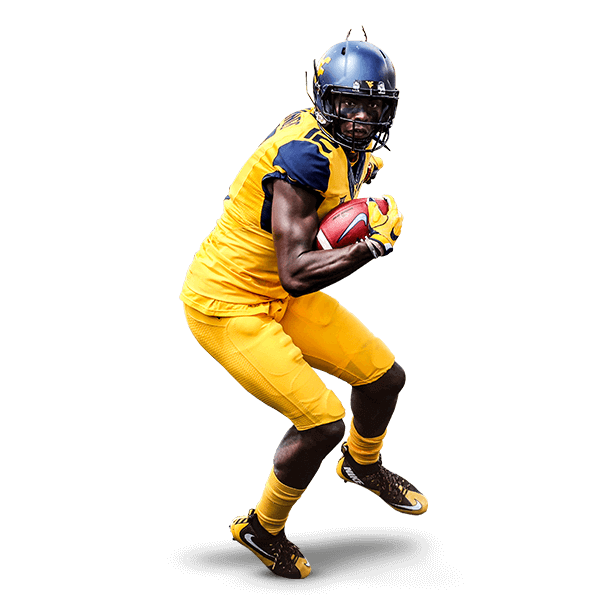 The most valuable player in college football wears the flying WV – Will Grier, our 2018 Heisman candidate. 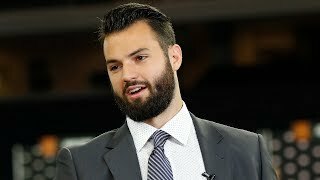 Will Grier meets with the media to provide an update on how the offeseason is progressing. 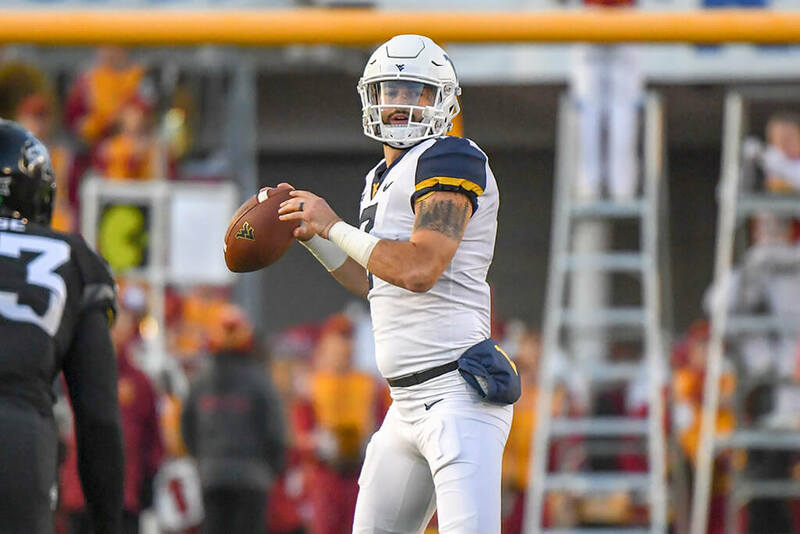 When West Virginia’s Will Grier takes his first snap this fall, he’ll do so as a brother, a husband, a father and one of the best returning quarterbacks in college football. 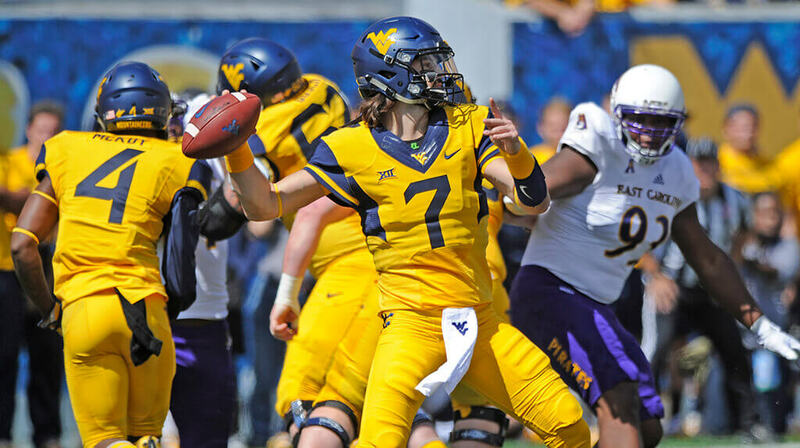 In what wound up being the final game of the season for Will Grier, he finished 6 for 8 with 50 yards passing. Grier left the game in the first quarter with an injured throwing hand. 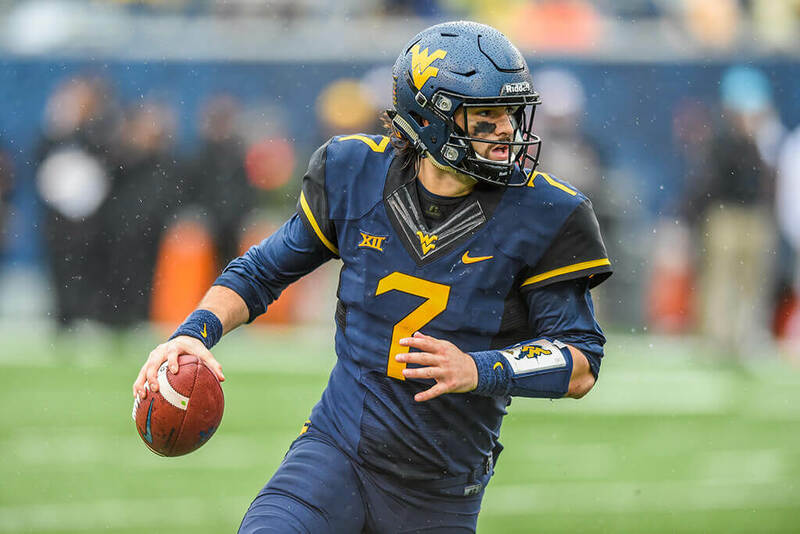 Will Grier helped lead the Mountaineers to a 28-23 victory at Kansas State, finishing with 372 yards and four touchdown passes. 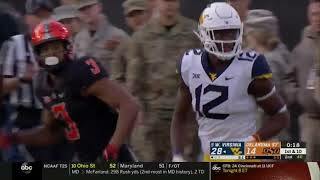 West Virginia upset No. 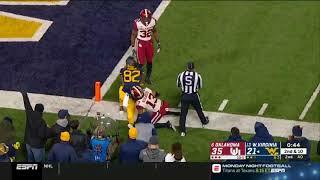 14 Iowa State with a 20-16 victory at Milan Puskar Stadium. 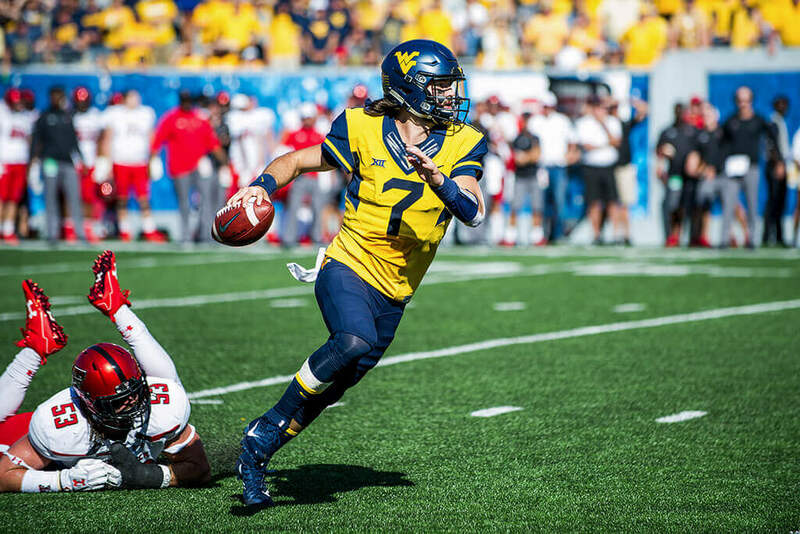 Will Grier finished 20 of 25 for 316 yards, his eighth 300-yard performance of the season. Grier also had two touchdown passes. 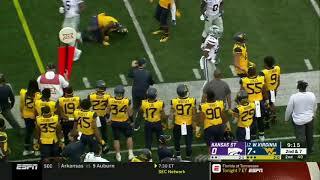 The Mountaineers fell 50-39 against No. 11 Oklahoma State at home. 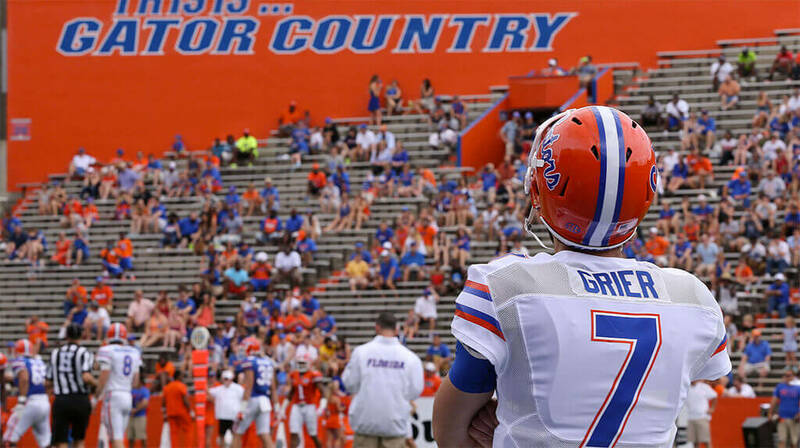 Grier’s streak of seven straight 300-yard passing games ended. 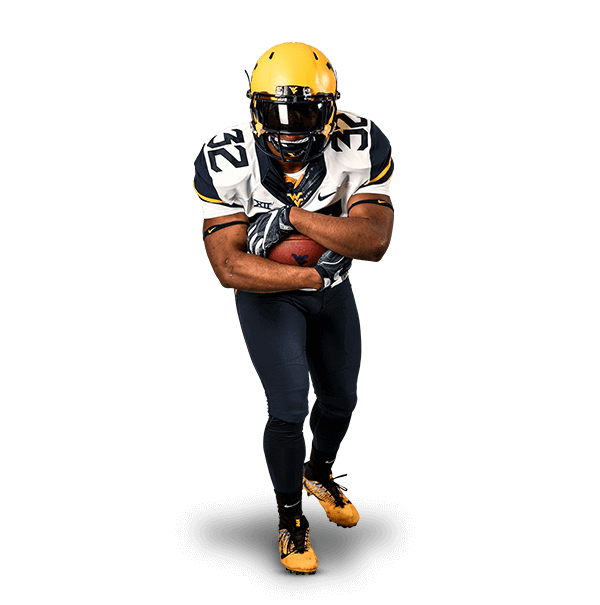 He finished 20 of 42 for 285 yards and two touchdowns. 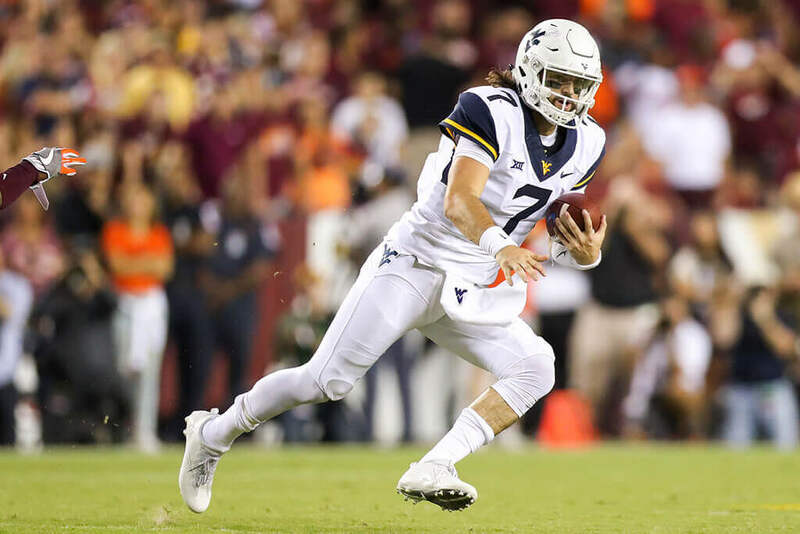 Will Grier threw for five touchdowns to pad his national lead with 26 for the Mountaineers, who led 38-13 at the start of the fourth quarter. 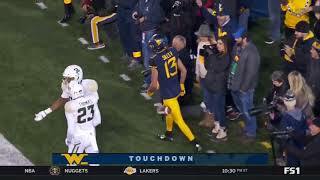 West Virginia held on for a 38-36 victory at Baylor. 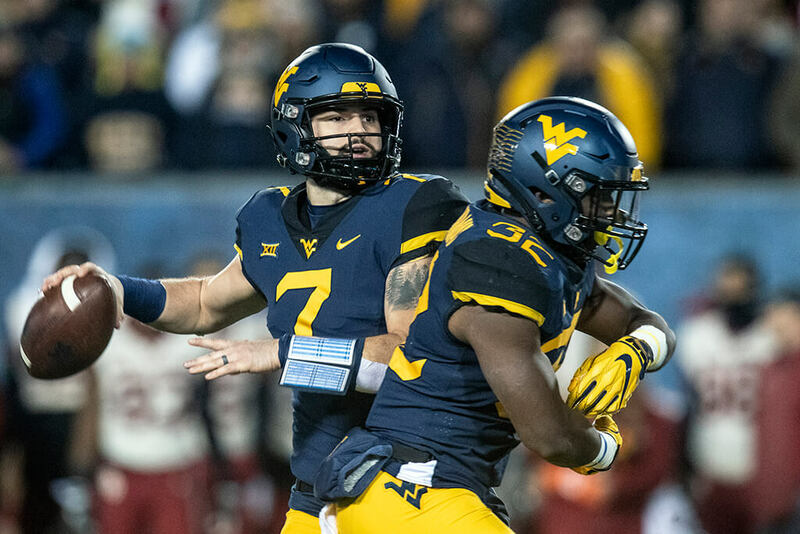 Will Grier threw four of his five touchdown passes in the second half and West Virginia overcame an 18-point deficit after halftime to beat No. 24 Texas Tech 46-35. 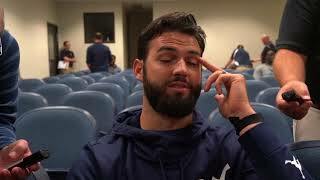 Grier completed 32 of 41 passes for 352 yards. 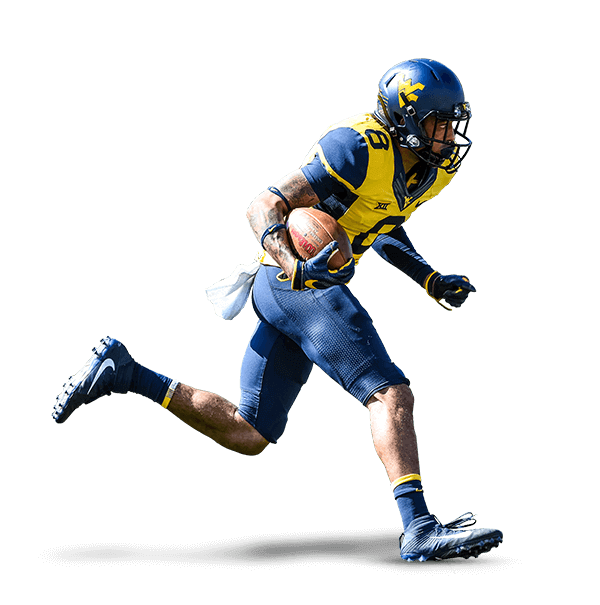 Will Grier threw for 366 yards and three touchdowns for West Virginia, including two long catch-and-run scores in a span of about 2 1/2 minutes late in the third quarter, in a 31-24 loss at No. 8 TCU. 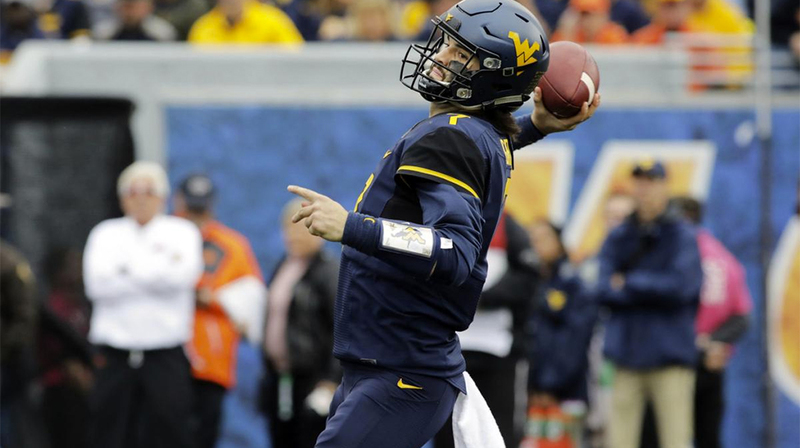 Will Grier threw for 347 yards and accounted for four touchdowns as West Virginia pulled away late to beat Kansas 56-34. 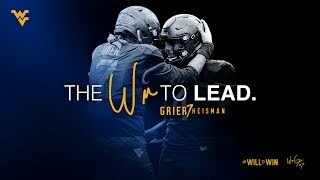 Grier passed for 347 yards and two touchdowns on 25 of 39 passing. 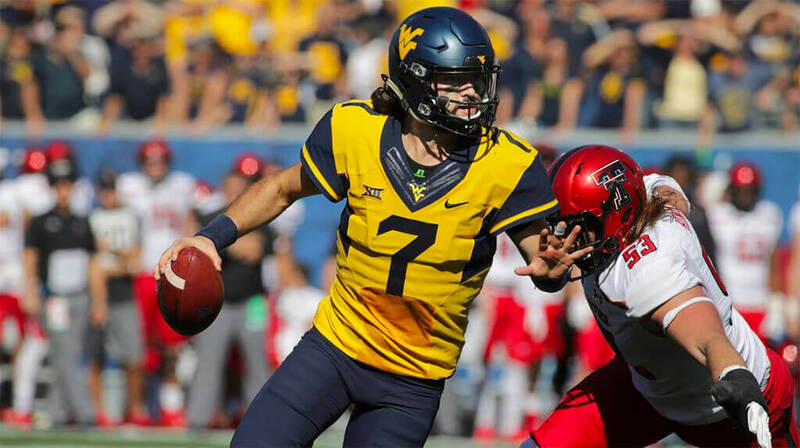 Will Grier threw three touchdown passes, and West Virginia defeated Delaware State 59-16. 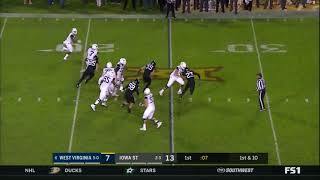 Grier finished 19 of 27 for 304 yards before going to the bench. 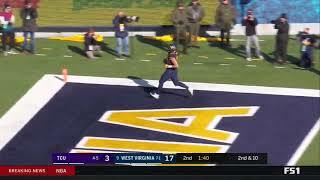 Will Grier threw five touchdown passes to lead the Mountaineers to a 56-20 victory over East Carolina. Grier completed 19 of 25 passes for 352 yards. 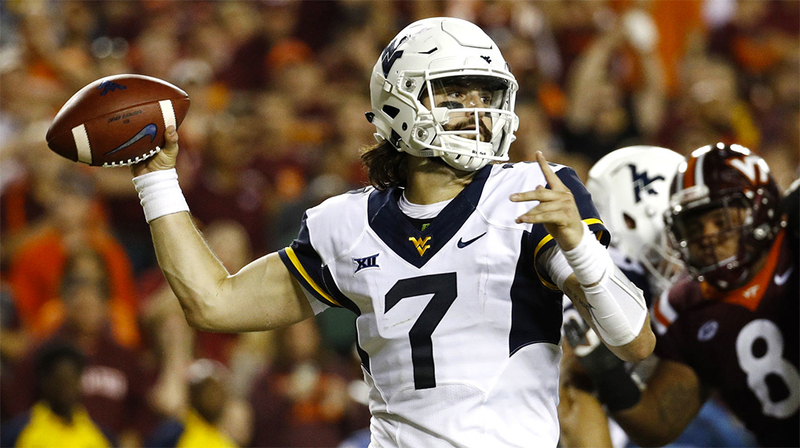 In his West Virginia debut, Will Grier finished 31 of 53 for 371 yards passing with three touchdowns, as the Mountaineers fell 31-24 to No. 21 Virginia Tech in the season opener. 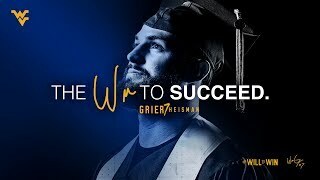 We begin with chaos theory, and if you don't have the time or inclination to wade through complex mathematics and interdisciplinary philosophy, let West Virginia quarterback Will Grier explain it. 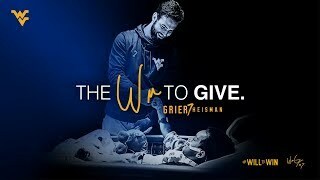 Will Grier's journey to national prominence has not always followed a straight path, but after finding his way as a father and transferring from Florida to West Virginia, the quarterback is more comfortable on and off the field than he's ever been. 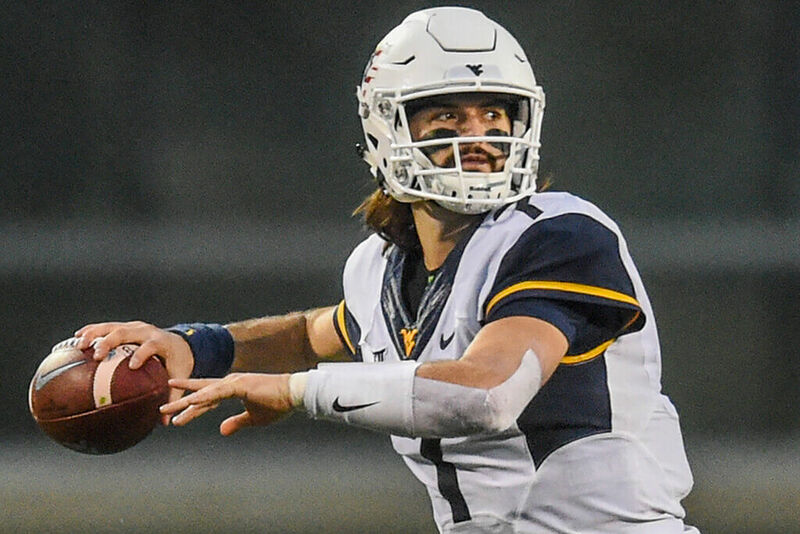 Will Grier can’t remember when he stopped getting questions about why he cut his hair, though he can’t say if that’s because the short crop suits him just as well as last season’s shoulder-length tresses or if it’s because he talks to so many reporters nowadays he can’t keep the timeline straight. 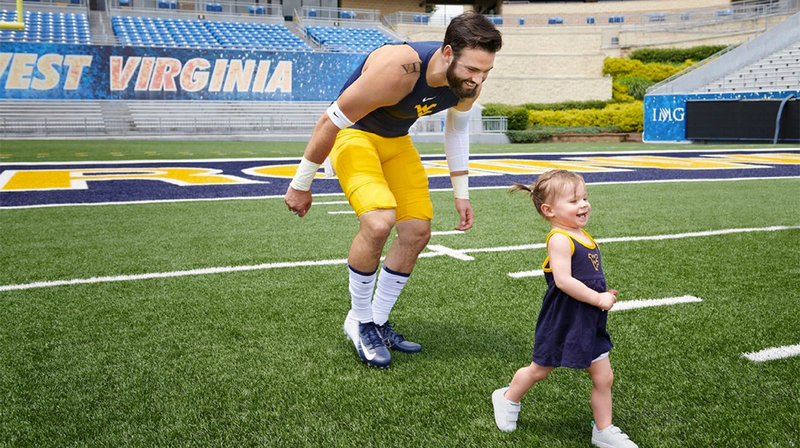 Unlike his Instagram-famous siblings, West Virginia QB Will Grier is scrambling to duck the spotlight -- and focusing instead on football and fatherhood. 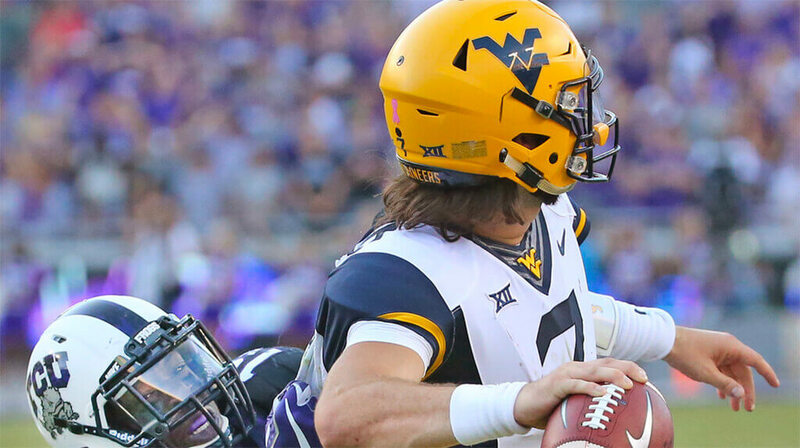 The long flowing locks that used to cascade from West Virginia quarterback Will Grier’s head are gone. In their place is a hairstyle that remains long at the top, but much more closely cropped on the back and sides. The new face of Big 12 football has himself a new haircut. 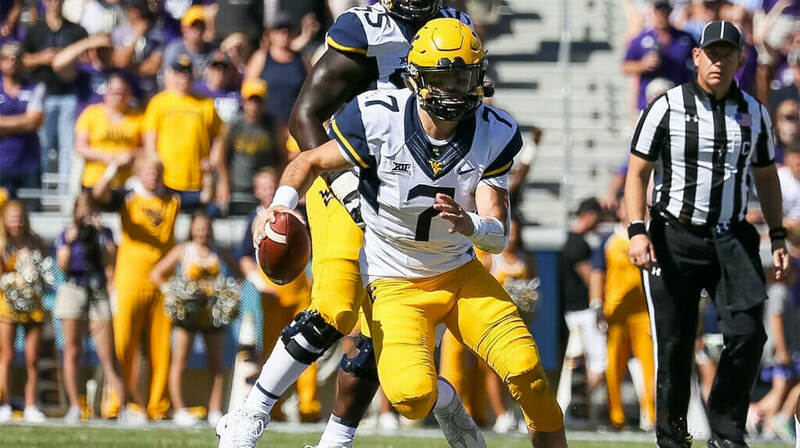 Will Grier wore No. 7 as a star quarterback at Davidson Day School, in Charlotte, N.C. He wore No. 7 as a freshman at Florida and now dons No. 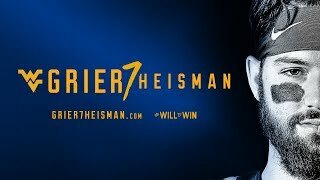 7 as a Heisman-contending quarterback at WVU. 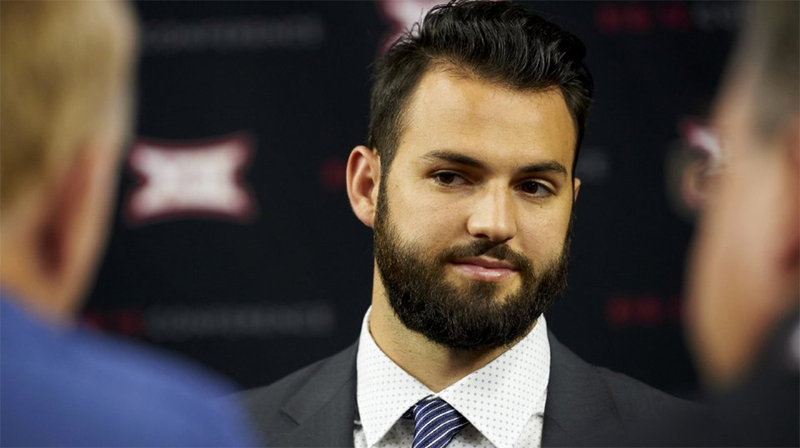 Will Grier walks up to the podium slowly, adjusting his tie ever so slightly before taking his seat. 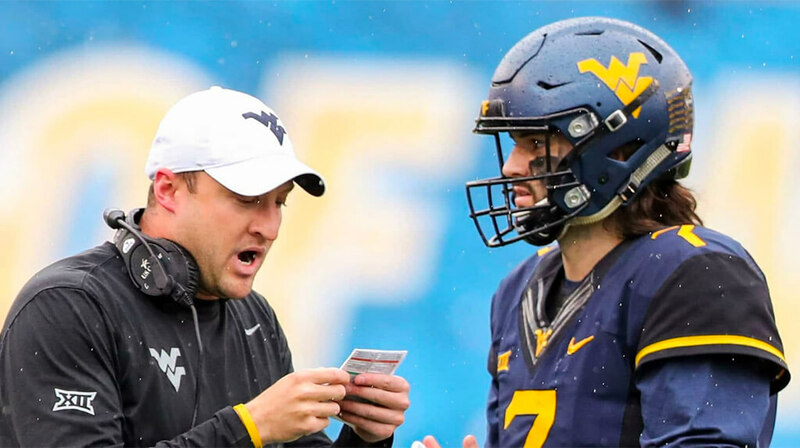 West Virginia’s fifth-year senior quarterback and preseason All-American is wearing a grey suit with a striped tie and a white pocket square. 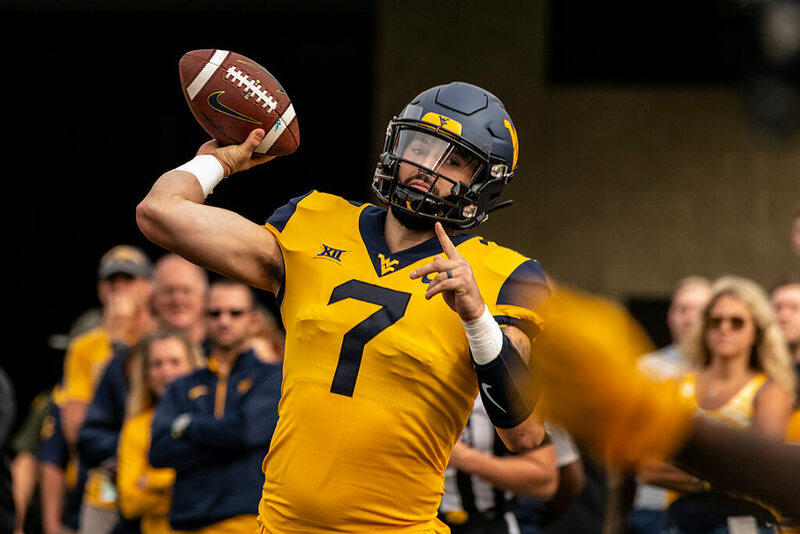 The hype around the Mountaineers in 2018 centers on senior quarterback Will Grier. 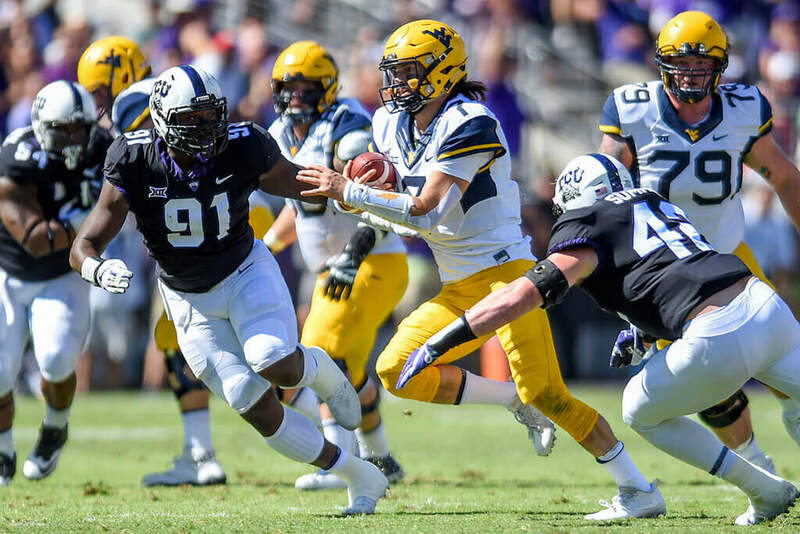 He was tabbed as the preseason All-Big 12 Offensive Player of the Year after dominating during his junior season and winning the league’s newcomer of the year award. Who's the best quarterback in college football? If you asked five different personnel evaluators, you might get five different answers. In other words, it's a wide-open contest. 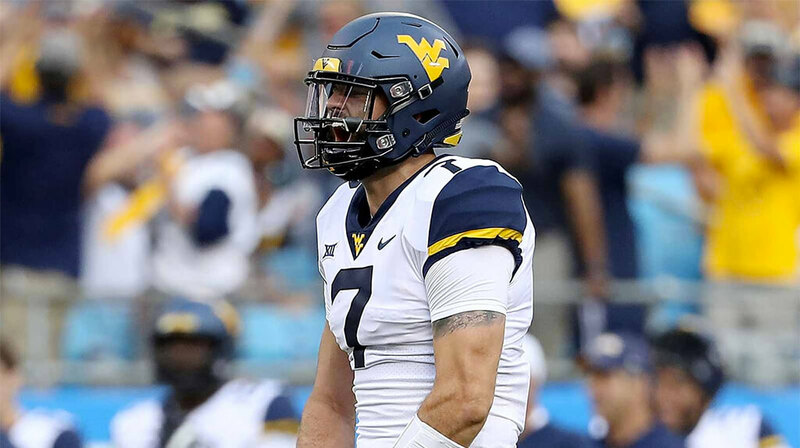 West Virginia's Will Grier is right in the thick of that discussion. 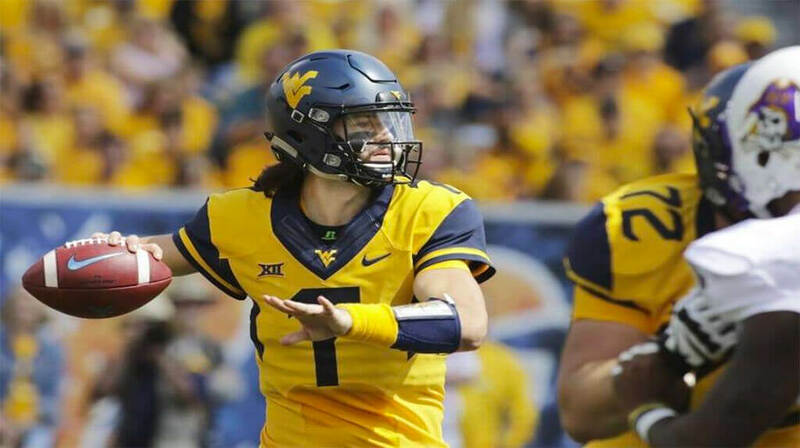 West Virginia football’s campaign to help quarterback Will Grier win the Heisman Trophy is geared toward the No. 7, his uniform number. 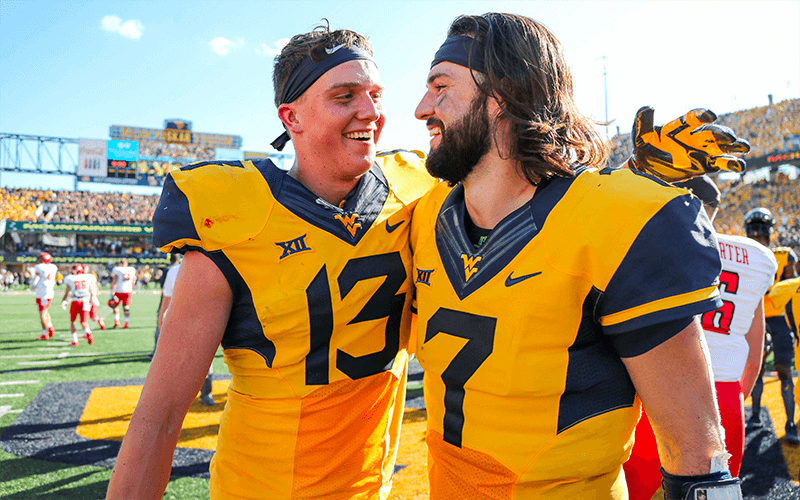 Will Grier leans back in his throne and grins as he and Jake Spavital retell the story of how they pulled off their furniture upgrade. 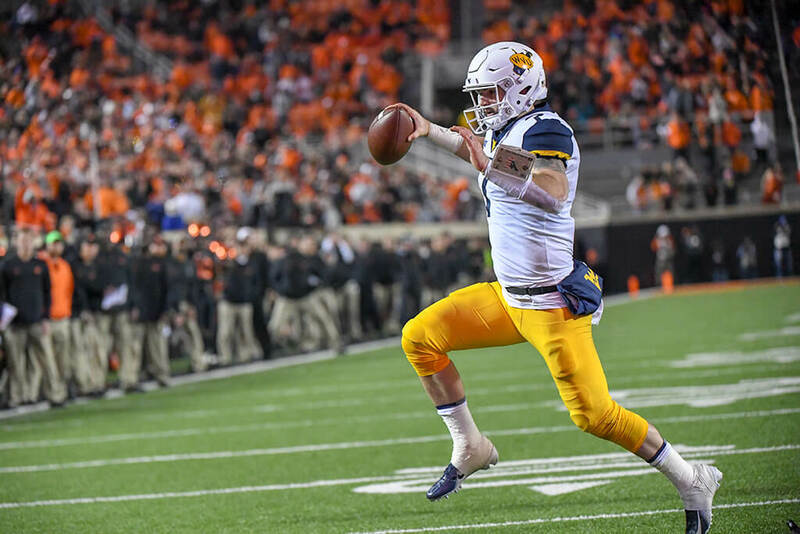 During the football offseason, our panel of insiders, columnists and contributors has been taking a look at some of the hottest topics around the Big 12. 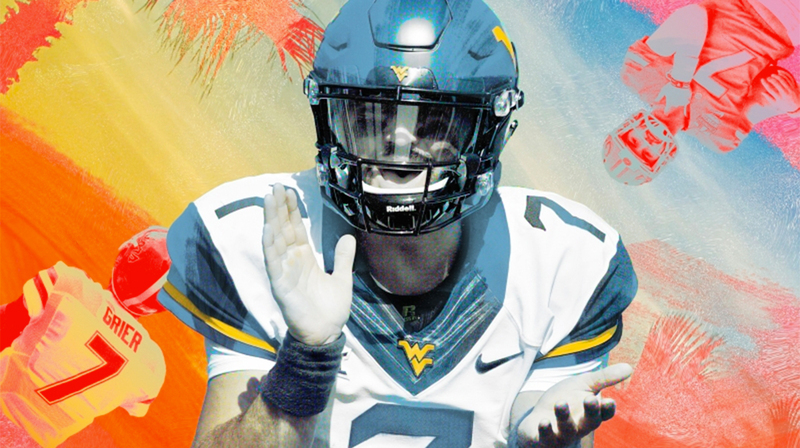 A shirtless Will Grier showers himself in an excessive cloud of bug spray as he makes his way across a few acres of empty youth soccer fields. The peaceful plot of land lays quiet, secluded from a sprawling suburban neighborhood by a thick barricade of pine trees that stretch tall toward a clear blue spring sky. 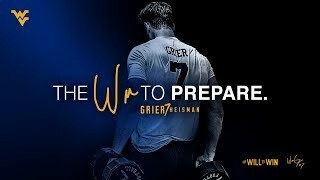 Daniel Jeremiah and Bucky Brooks break down what they saw over the weekend from college football's top quarterbacks at the Elite 11 Finals. 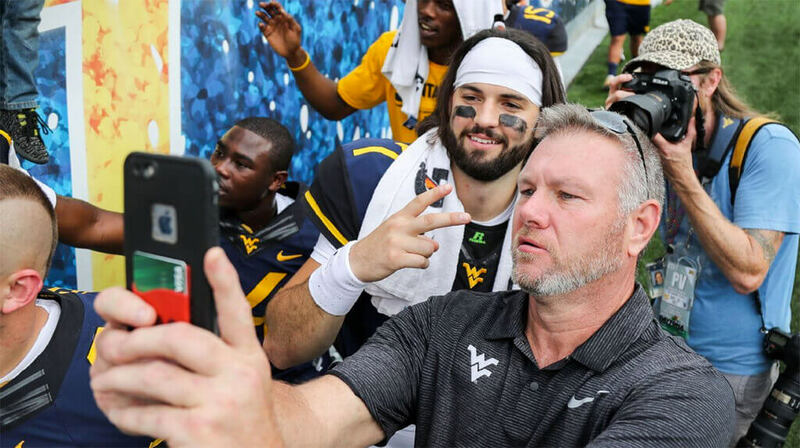 When West Virginia’s Will Grier takes his first snap this fall, he’ll do so as a brother, a husband, a father and one of the best returning quarterbacks in college football. He’ll need a new nickname, though. 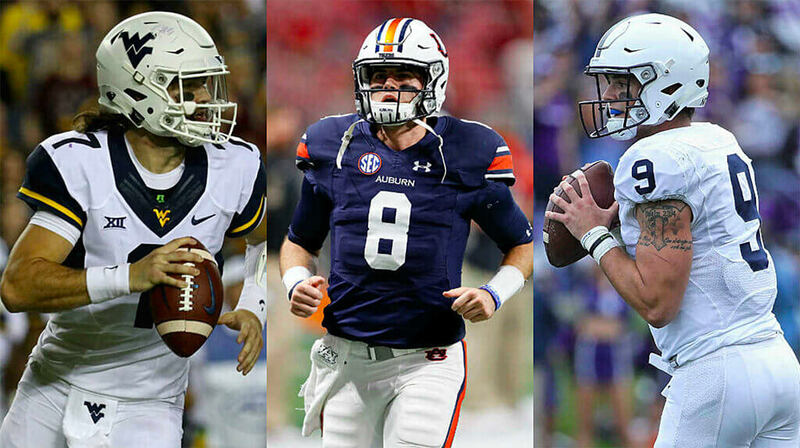 On Tuesday, the NFL's official website released a list of 18 college football offensive players that it believes will become future NFL stars. 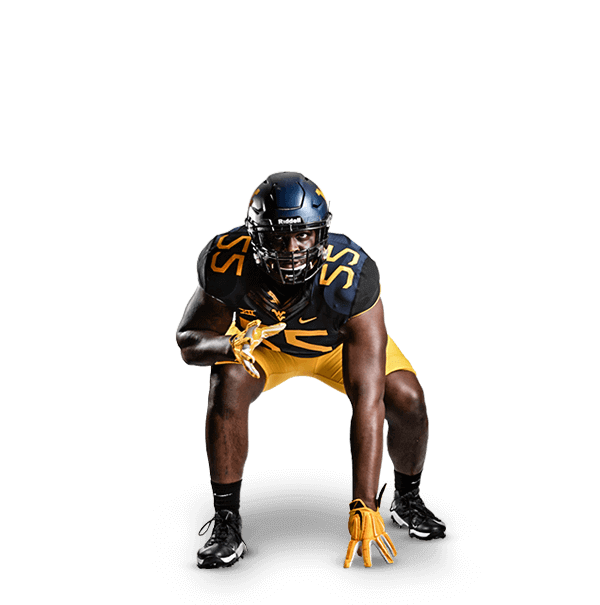 Five years ago, when the West Virginia and Tennessee football teams officially agreed to play in the 2018 Belk College Kickoff Game, Will Webb saw some obvious positives: two strong programs, with strong fan bases, who had never played each another. 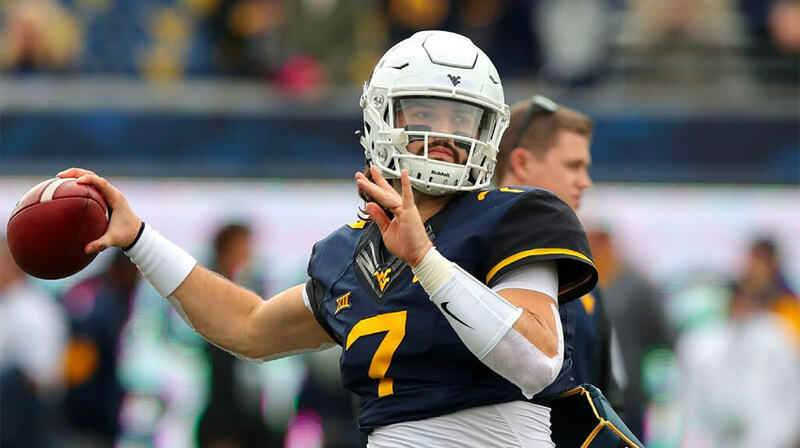 Will Grier's career path has taken a few interesting turns, but he proved in his first full season with the Mountaineers he can play. There's a big arm, mobility and high-volume statistics. Eighteen eyes grow wide when Trent Baalke mentions tattoos. 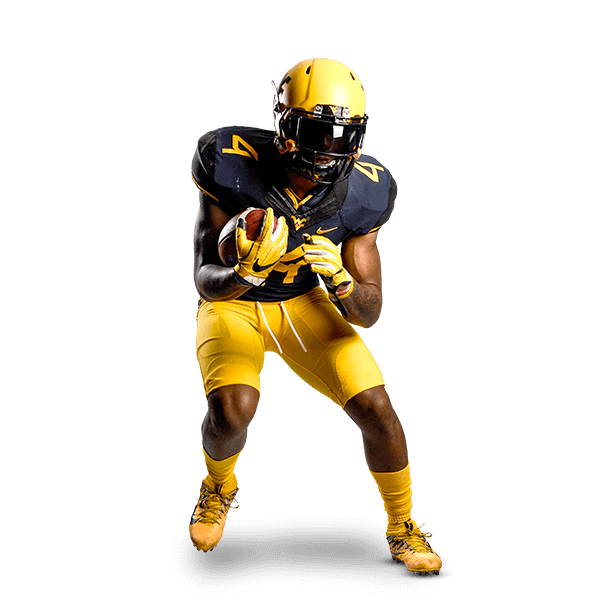 Not all of the nine West Virginia players assembled around a meeting room table in a midtown hotel have tattoos. 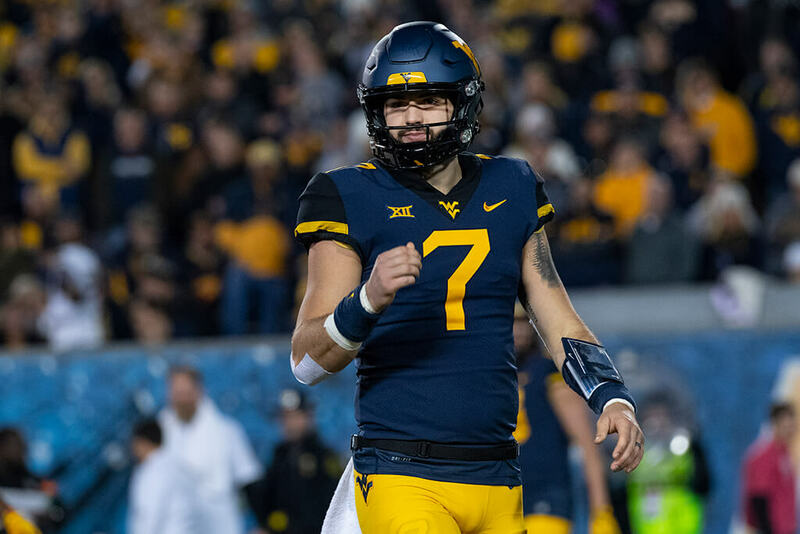 Will Grier’s locker at West Virginia isn’t adorned with the traditional memorabilia associated with a football player. 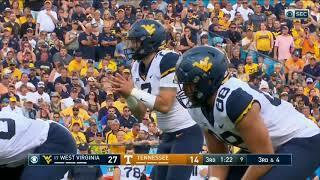 The Mountaineers quarterback doesn’t believe in cluttering this up with knickknacks. 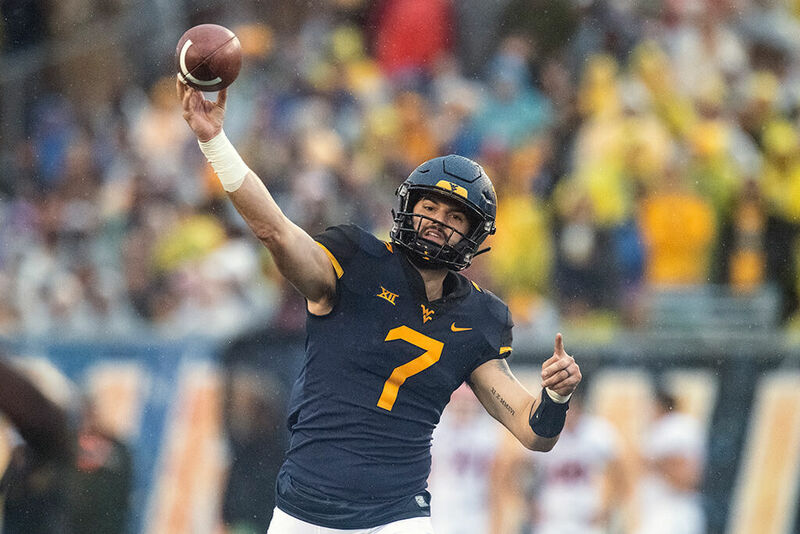 West Virginia quarterback Will Grier made himself one college football's biggest stars for 2018 with his announcement that he would be back in Morgantown for his senior season with the Mountaineers. Without YouTube, Justin Bieber might never have become a star. Without MySpace, Adele's voice might never have been noticed. 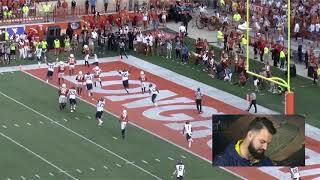 I was the starting quarterback for one of the best teams in college football. Then one mistake changed everything. 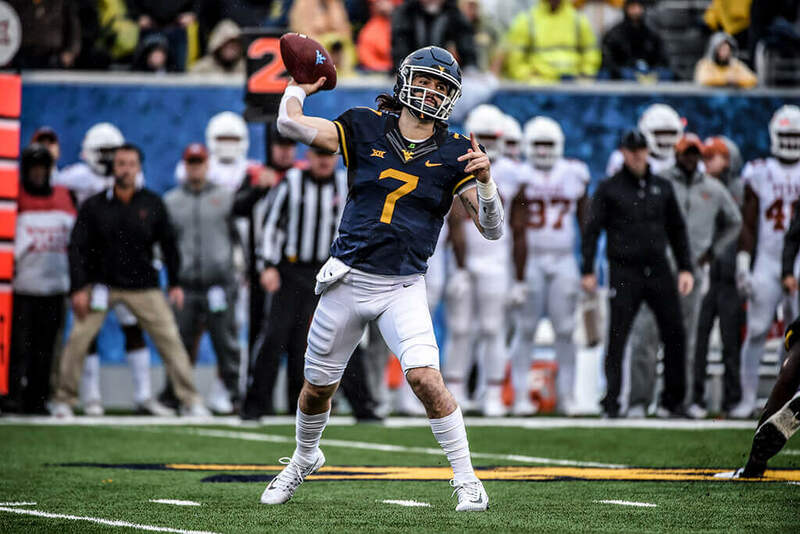 Will Grier was named to many of the 2018 Preseason All-American teams, including the Associated Press. His name also has appeared on the quarterback watch lists, player of the year watch lists, the Wuerffel Award and AFCA Good Works Team watch lists. 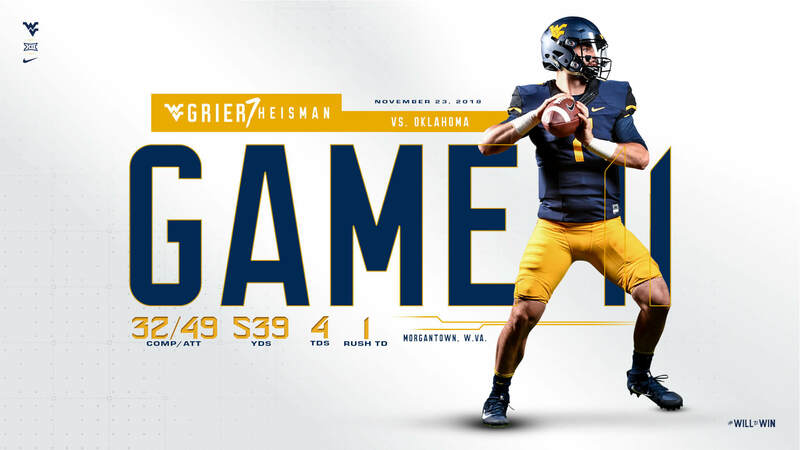 Grier was the 2017 Big 12 Newcomer of the Year after passing for 300 or more yards in nine games and had multiple touchdowns in 10 games. 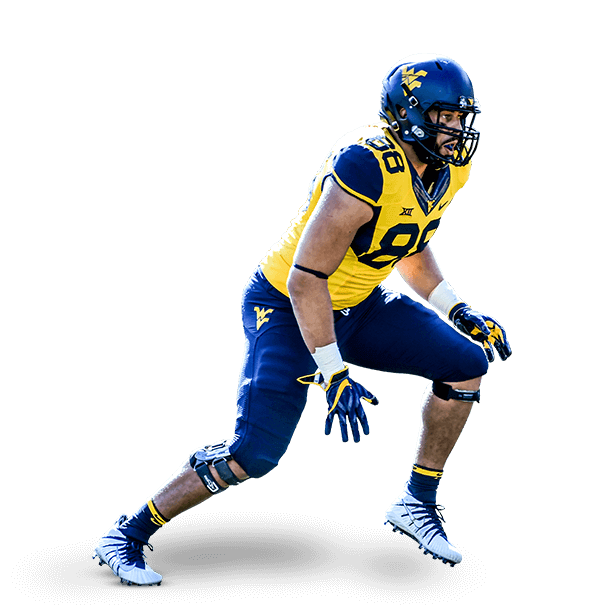 He was named All-Big 12 by three different publications. I have such admiration for Will and his journey. 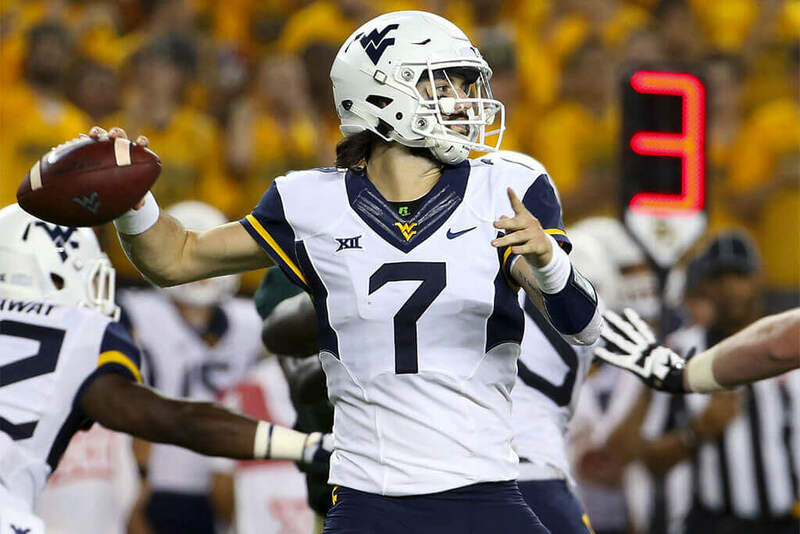 From one of the top high school quarterbacks his Senior year, to having an unfortunate setback at Florida, to regaining his confidence and becoming one of the top players in college football in Morgantown. I’m really looking forward to seeing his continued growth this fall. 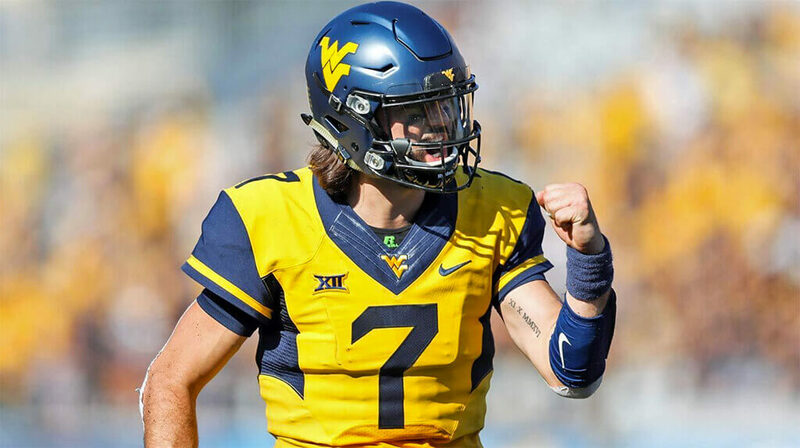 In a conference that routinely features prolific offenses led by highly productive quarterbacks, I think the torch bearer this season for the Big 12 has to be Will Grier of West Virginia. Beyond his skills as a passer, I love his football savvy and competitive spirit! 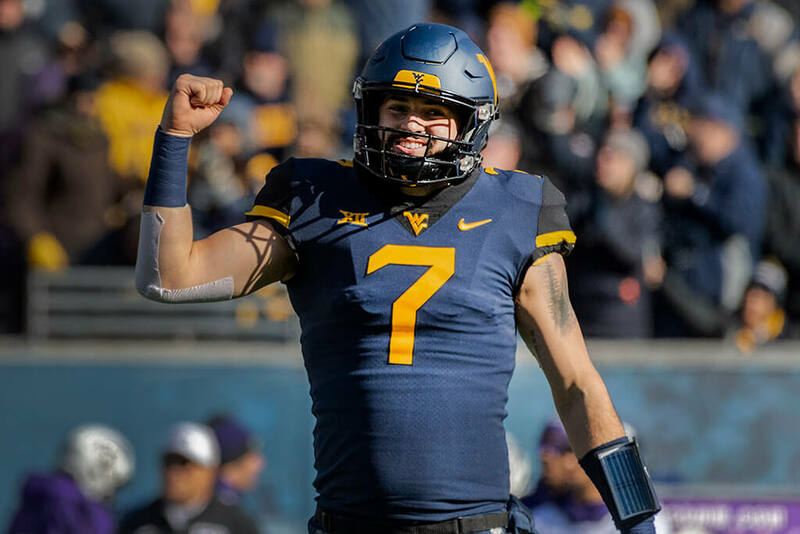 Will Grier was worth the wait in 2017 -- after nearly two years out of action he was sensational in providing West Virginia its best quarterback play since the Geno Smith days. 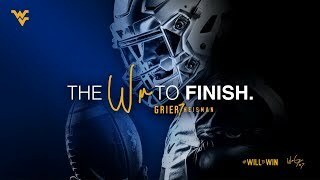 Grier will be must-watch in 2018, with a talented supporting cast and creative offensive coaching on top of his dynamic playmaking. If you see a preseason Heisman Trophy candidate list without Will Grier on it, that's a bad list. 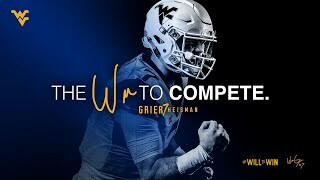 I think Will Grier and WVU are primed for a big 2018. 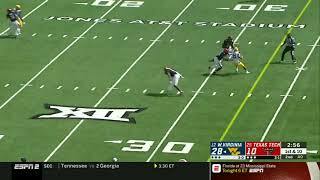 Grier’s ability to extend plays and hit big shots downfield is really impressive and he’s a really good athlete back there. With him as the triggerman, this should be one of the most explosive offenses in the country. 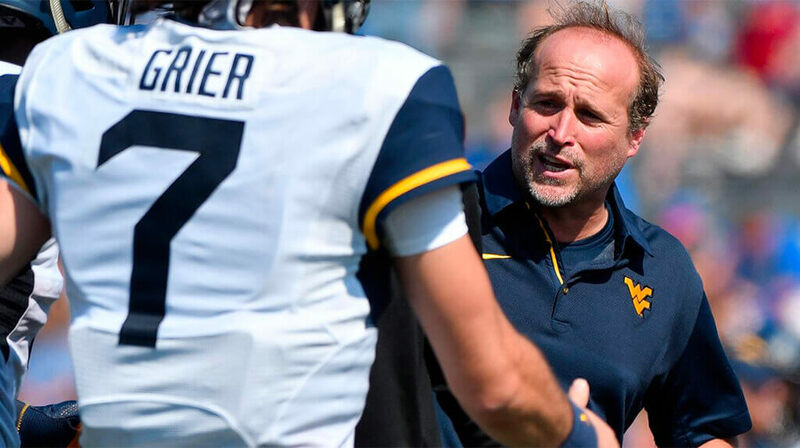 Christmas came early for Dana Holgorsen last December when Will Grier announced he would be coming back for another season in Morgantown. 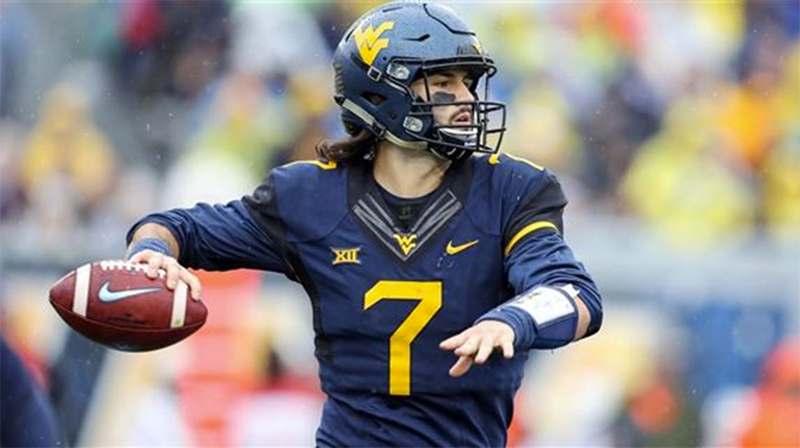 After throwing for almost 3,500 yards in 2017, Grier will be one of the very best quarterbacks in the Big 12 if not THE best and gives the Mountaineers a legitimate shot at the conference title. 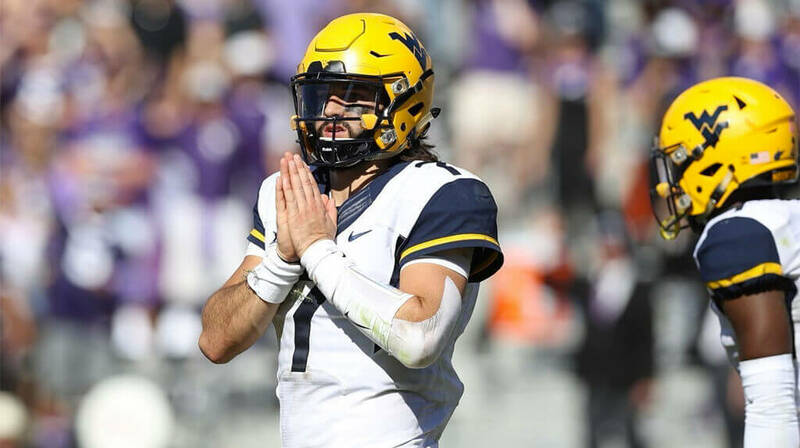 If he can stay healthy we'll be talking about Will Grier at Heisman Time. 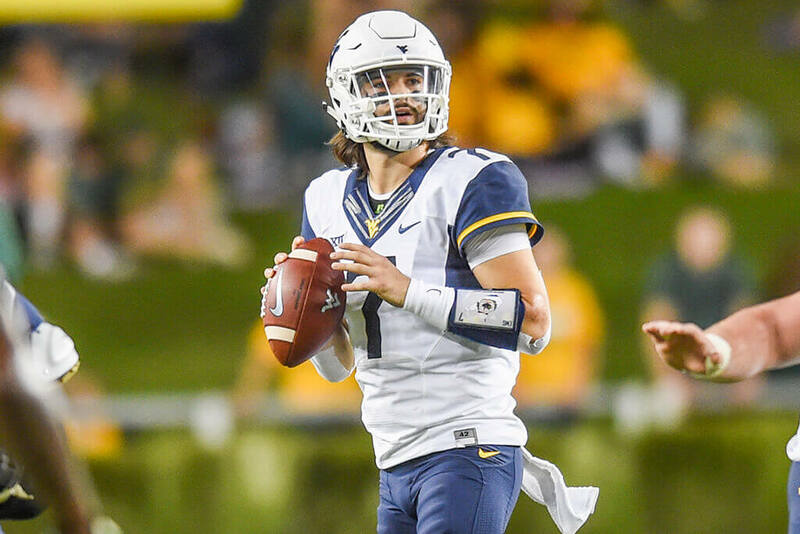 In a season where there are scant obvious choices for preseason All-America, quarterback Will Grier stands out. 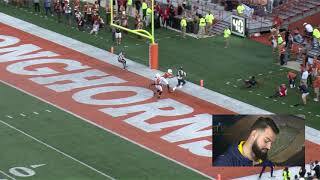 It's clear he made the perfect choice in transferring to West Virginia. The coaching he has gotten there from Dana Holgersen and Jake Spavital has made him one of the nation's best. Only seven players had more touchdown passes than his 34. I'm looking forward to a dominant season from a first-class guy. Will’s wife and Eloise’s mother, Jeanne, is passionate about all things family, health, beauty and fashion and has a blog where she likes to share her ideas. After she spent three seasons as an NFL cheerleader and a professional dancer, Jeanne and Will met at Florida, where Will began his collegiate football career. The daughter of Will and Jeanne Grier, Eloise will be two years old later this fall. 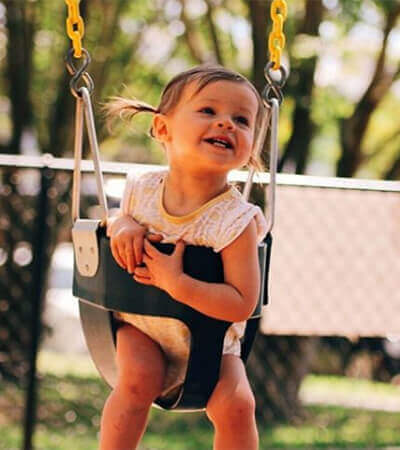 She is the first-born child, is the pride and joy of her parents and provides much love, laughter and energy each day. 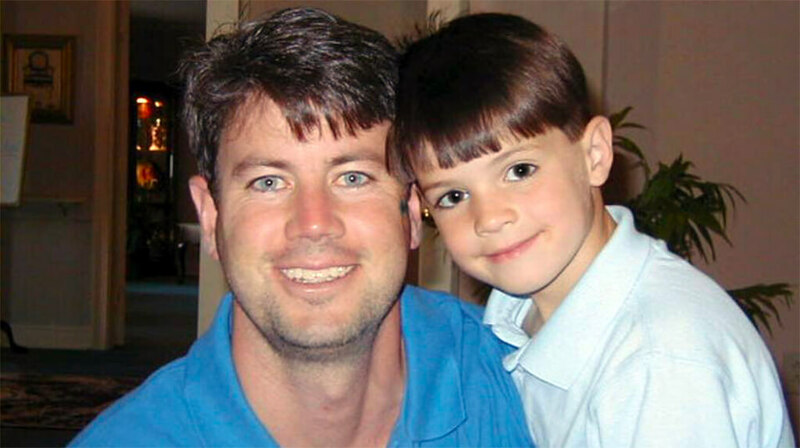 Chad Grier is Will’s father and was his high school coach at Davidson Day School. 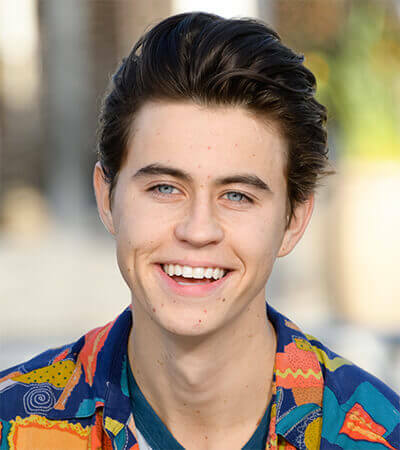 He is married to Nila Grier and is the father to internet superstars Nash and Hayes. 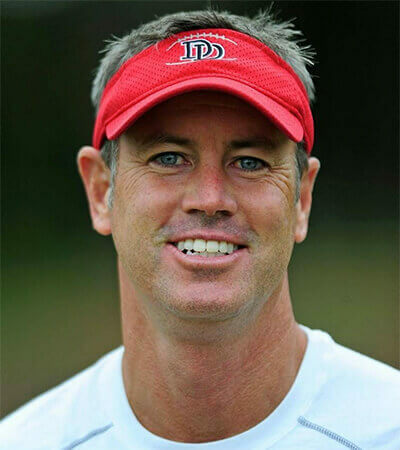 He spent six years at Davidson Day, posting a 65-9 record and his teams won four North Carolina Independent Schools’ state championships, before becoming the head coach at Oceanside Collegiate Academy in Mt. Pleasant, S.C. in 2017. Chad also served as the head coach of the the 2018 Army All-American game. 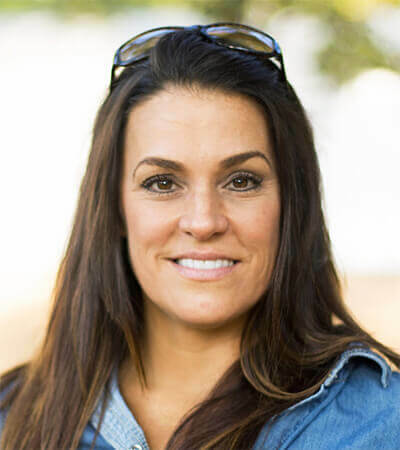 Nila Grier is the wife of Chad Grier and the stepmother to Will, Hayes and Nash. After a career in banking, Nila was a senior sales executive, social media manager and event coordinator for Grier Interiors, the family office furnishings business in Charlotte. Elizabeth Grier-Floyd is the mother to Will, Hayes and Nash Grier and Skylynn Floyd. She has a passion for nutrition and fitness, has over 360,000 followers on her Instagram account and has launched her own Southern style lifestyle channel on YouTube. Johnnie Floyd is the father to Skylynn Floyd, husband to Elizabeth Grier-Floyd and stepfather to Will, Hayes and Nash Grier. 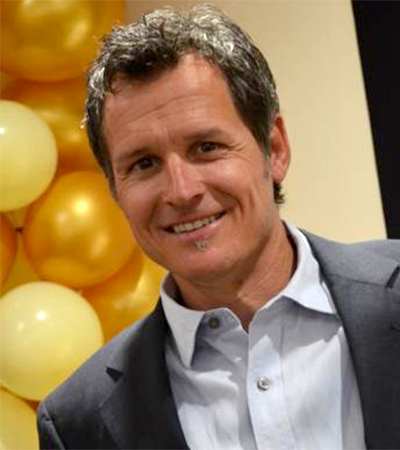 Floyd currently works on the Toyota Racing Development team since 2008. He spent nine years in industrial design for Hendrick Motorsports, before working five years as a designer for Chip Ganassi Racing with Felix Sabates. One of Will’s brothers, Nash earned fame when his Vine comedy-related video following grew into millions of followers. Nash has built upon his success in social media and brand promotion by branching out into producing, directing and acting. He starred in The Outfield and had a major role in You Get Me, in addition to several other roles both in front of and behind the camera. Nash and his brother, Hayes, helped launch a clothing line in partnership with Aeropostale. He has a book coming out, has toured around the world, directed a music video and lent his time, money and energy to his passion "The Thirst Project," to provide clean drinking water in Africa. Nash has over 22 million followers on Instagram, Twitter and YouTube. Another of Will’s brothers, Hayes also is an internet personality who earned fame for his popularity on Vine and now on YouTube. He was a celebrity contestant on Dancing with the Stars, the youngest male contestant on the show. 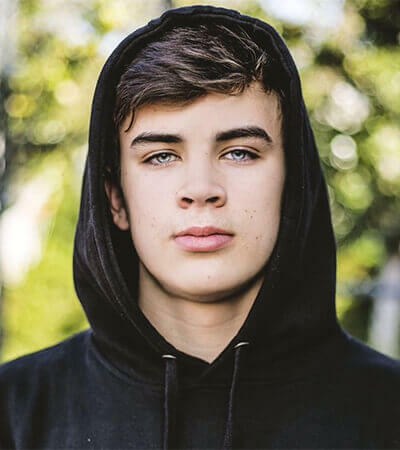 He is in the Hulu TV show called “Freakish” and has a reality show called “Top Grier”. Additionally, he had a very successful book release and tour, "Hollywood Days with Hayes," and headlined a show that toured 26 major cities in Canada and the United States. Hayes has over 6.5 million followers on Instagram and YouTube. 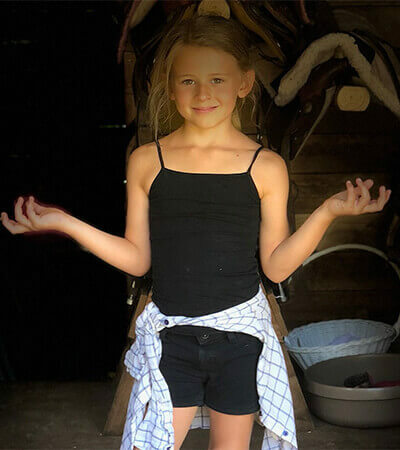 Skylynn is the half sister to Will, Hayes and Nash and is the daughter of Elizabeth Grier-Floyd. She gained popularity since her birth when she was featured in several of her internet sensation brothers Hayes and Nash’s Vine and YouTube videos. By the age of five, she has accumulated more than a 1.6 million followers on Instagram, Twitter and YouTube. 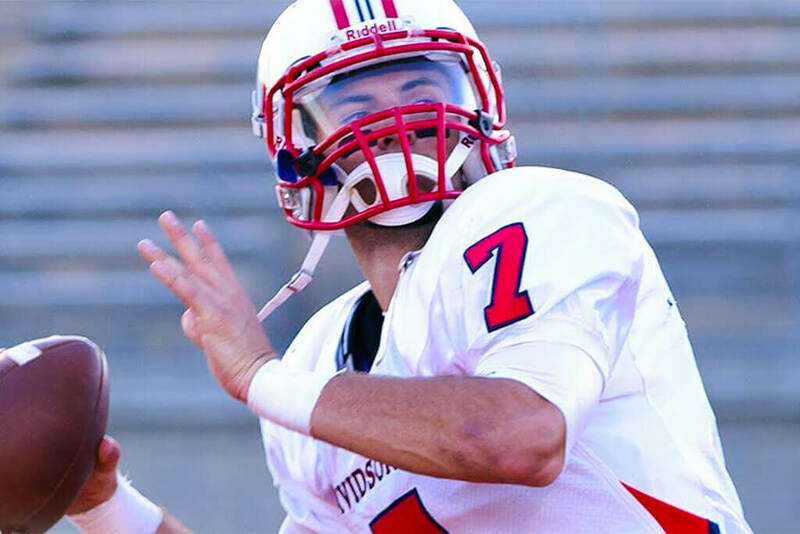 The legendary status of Will Grier was forged playing for his father, Chad, at Davidson Day School. Will, the Mr. Football USA, the Parade High School National Player of the Year, Maxwell Player of the Year and Tom Lemming Offensive Player of the Year, threw for 14,565 yards and a state-record 195 touchdowns over his career. As a senior, the All-American First Team honoree and U.S. Army All-American Bowl participant totaled 4,989 passing yards and 77 touchdowns, leading his team to the state championship. He set a national record for single-game passing, posting 837 yards and 10 touchdowns. 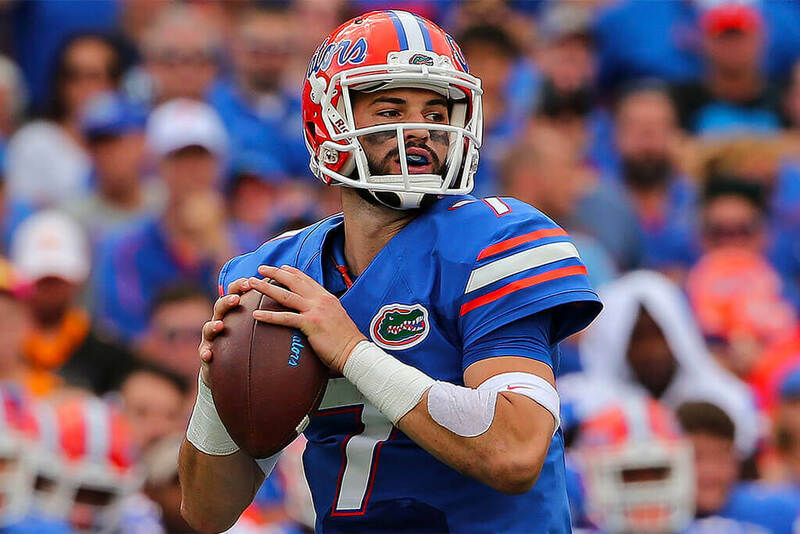 Will Grier furthered his status as an offensive icon, this time on the national stage at Florida. As a redshirt freshman with the Gators, he earned the starting role under center. He played in six games and started five, completing 106-of-161 passes for 1,204 yards and 10 touchdowns, leading the Gators to a 6-0 record and a Top 10 ranking. 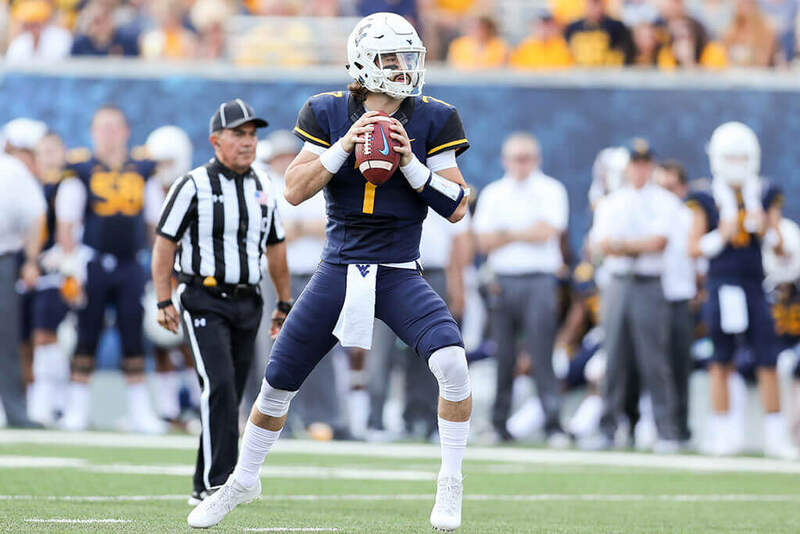 He threw for 200 or more yards in three games, 250 yards or more in two games, finished with 20 or more completions in three games and had a season-high 283 yards in a win over Tennessee. He also completed 24-of-29 passes and four touchdowns in a win over No. 3 Ole Miss. 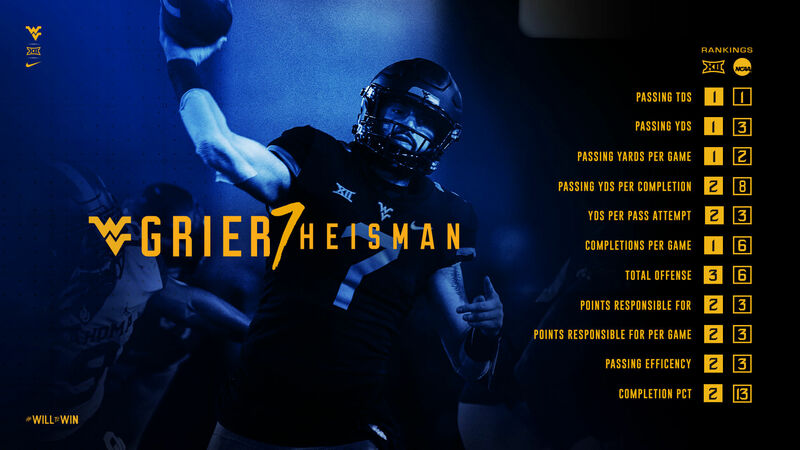 The 2017 Big 12 Conference Newcomer of the Year, Will Grier made his first season at West Virginia memorable. His dynamic play established him as one of the best quarterbacks in the nation before his season was cut short due to a hand injury in game 11. He completed 250-of-388 passes for 3,490 yards and 34 touchdowns, ranking among the national leaders. He set the school record for throwing five touchdowns in back-to-back games, finished fourth in school single-season passing yards and was second in passing touchdowns. 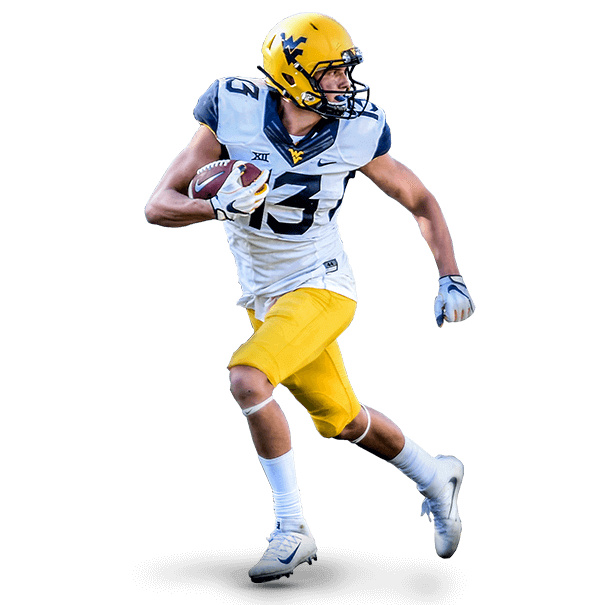 The All-Big 12 Conference honoree passed for more than 300 yards in nine games and multiple touchdowns in 10 games.